Seven countries, seven popular markets, seven cultures. 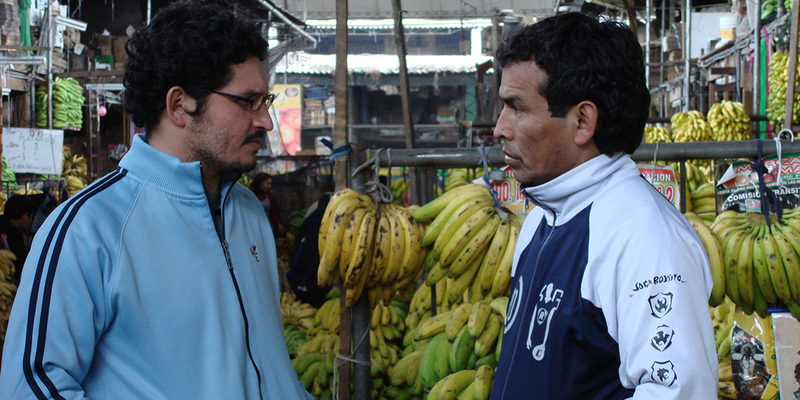 The first documentary of its kind, From the Land to Your Table shows the perspectives of seven Ibero-American filmmakers as they capture the conditions and cultural diversity of popular produce markets in their individual countries. Created collectively, each segment in this brilliantly executed documentary retains its own unique style and tone, highlighting the fascinating stories of the foods that eventually wind up on our tables. A whole new world reveals itself in every chosen character and image, illuminating the diverse socioeconomic conditions of these countries through the fascinating stories of the foods that we eat and the people who sell and produce them. 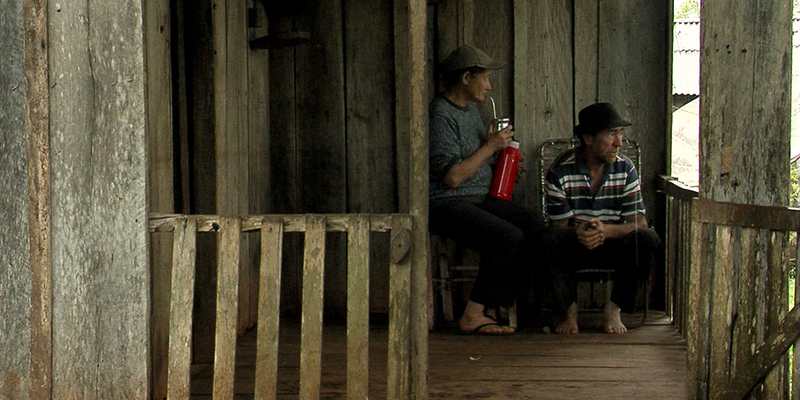 FROM THE LAND TO YOUR TABLE IS ONE OF THE MANY FILMS INCLUDED IN THE CATALOGUE OF SPANISH FILM CLUB. SFC AFFILIATED UNIVERSITIES CAN TAKE ADVANTAGE OF A SPECIAL PRICE OF $99 IF THE TITLE HAS BEEN INCLUDED IN THEIR SFC FESTIVAL. PLEASE CONTACT SFC STAFF AT FILMCLUB@PRAGDA.COM FOR MORE DETAILS. Jorge Coira (Spain) was born in Galicia. His professional career includes work in video, TV and cinema. He participated in the making and directing of important Spanish series such as Mareas vivas, Terra de miranda, As leis de Celavella, R.I.S., Padre Casares and El Comisario. He has also directed TV documentaries and short films that have been awarded in several festivals. He made his first long feature film, El año de la garrapata, in 2004. His last projects include From the Land to Your Table and the feature film 18 Meals. Josué Méndez (Peru) studied Cinema and Latin American Studies at Yale University. The first film he wrote and directed, Dias de Santiago, premiered in Competition at the 2004 Rotterdam International Film Festival. It was selected in over 100 festivals worldwide and and won more than 35 international awards becoming Peru’s most awarded film ever. It was commercially released in theaters in more than 15 countries and was Peru’s Official Entry for the 2004 Academy© Awards. His second feature film, Dioses, was developed at the Cinefondation, the residence program at the Cannes Film Festival. The film premiered at the Official Competition of Locarno FF 2008 and it was awarded as Best Film at the Biarritz Festival 2008. Marcos Loayza Montoya (Bolivia) was born in 1959. He studied cinema at the International School of Cinema and Video in Cuba. He has also studied with Alfredo Bryce Echenique and Jean Claude Carriere. With his first feature film, Cuestion de Fé, he won several awards, including the Best Opera Pima Award at the XVII New Latin American Film Festival in La Habana, (Cuba). His latest films: Escrito en el Agua and El corazón de Jesúshave been shown at international festivals worldwide. Carolina Navas (Colombia) studied audiovisuals at the School of Social Communication at the Universidad del Valle (Cali, Colombia). 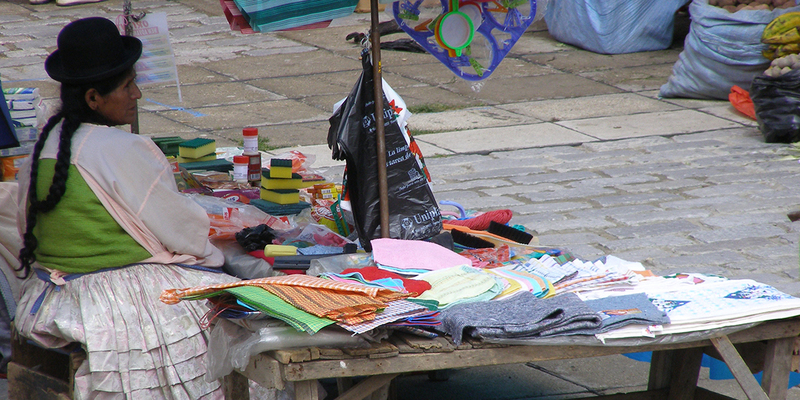 Topics such as urbanism, fear, paranoia and violence are recurrent in her written works as well as in her audiovisual works. She has worked with the recognized documentarist Oscar Campo and as a director’s assistant at Pato Feo Films. Alejandra Szeplaki (Venezuela) has more than fifteen years of audiovisual experience. She has made thirty seven documentaries and TV series and she is currently working on the feature film, Dia Naranja. She has received several national and international film prizes. Born in Rio in 1964, Paola Vieira (Brazil) worked ten years as a music producer before graduating in filmmaking in the early nineties. Since then, she has worked as producer, assistant director and director in several cinema and television programs. As a director, she has made a number of short films, fiction films, documentaries, educational TV series and music videos. Currently, she is editing the pilot of Alfavela, a science fiction TV series for youth that she both produced and directed. 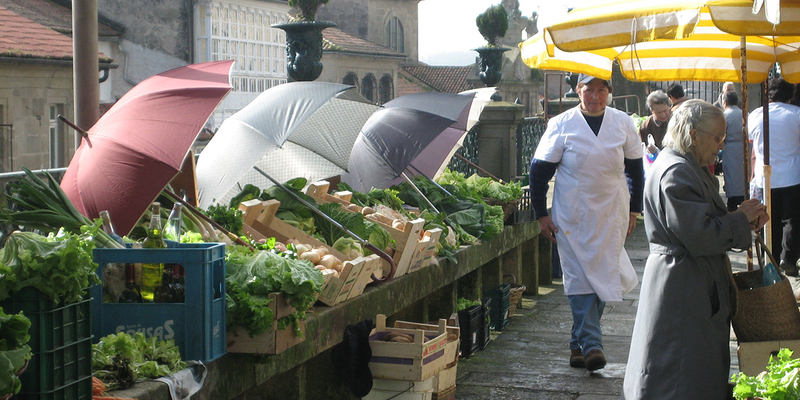 From The Land To Your Table is a documentary created collectively by seven Ibero-American directors from different countries, following a common thread: popular markets. 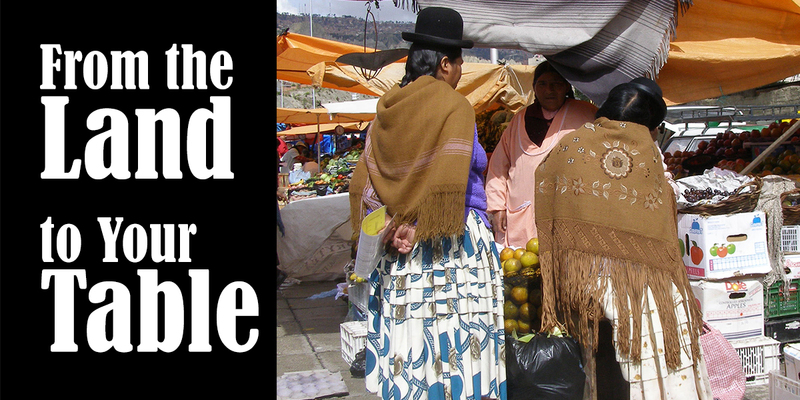 This observational film immerses us in their diverse cultures and traditions. The documentary looks to deconstruct current ways of production and to reveal the cultural diversity that exists behind them. 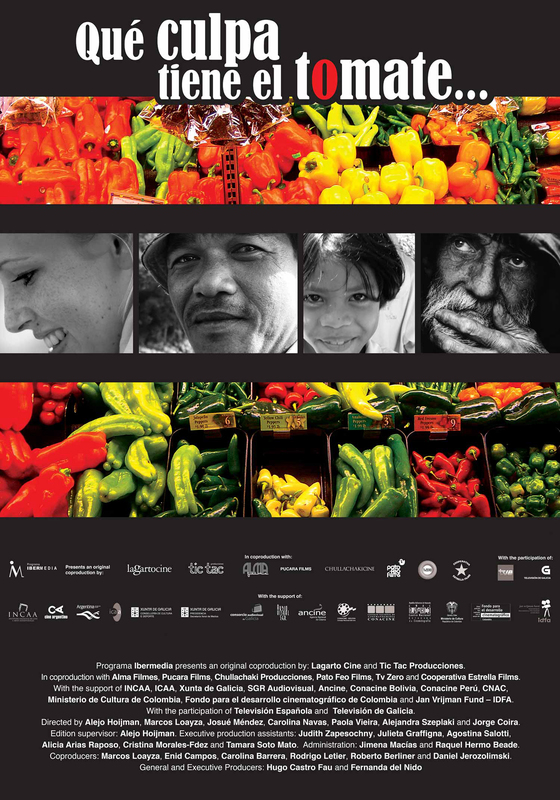 From The Land To Your Table grants us the chance to share the different views and experiences of fellow societies, turning the documentary into a unique piece. The seven perspectives that compose the film are a great part of its aesthetic strength. Each of the segments provides a portrait of the countries and cultures involved, while the diversity of their tones gives an original and cosmopolitan look at a subject which is both a common concern and a shared identity. The directors who signed on to participate in this film brought their own personal and unique motivation, as well as their vision, into these stories. Through co-productions and as independent Ibero-American producers, we have a singular and powerful tool that ensures our inalienable right to produce and visualize diverse audiovisual projects. We all share the intention of rescuing the popular as a sign of identity of each culture and defending diversity as a principle. This is the reason why the seven independent production houses decided to work together, while at the same time insisted in the importance of maintaining each of the director’s “auteur” style.